Although I don’t like classify myself into skin types, my face generates a lot of oil. I have tried a number of “claimed to be long lasting” foundations and they all last about 2-3 hours on me. After 2-3 hours, foundation would “float” on the surface of my face, creased around my nose, appeared in dots around my chin. I have tried numerous foundations, bb creams, primers, setting powders and concluded that, no foundation is going to ever last on my face for a day. That was about 2 years ago. Now, I can apply my face makeup at 7:30 am, and it would stay reasonably well until 7:30 pm when I get home, without showing too much of creases or “float” on my face. This has been a trial and error process over years, finding out products and a routine that works for me. 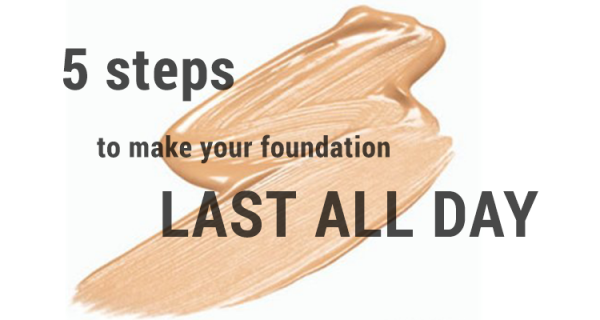 In this post, I’ll share with you the five steps I took that made my foundation lasting all day. One of the best decisions I made for my journey to long lasting makeup is skipping moisturiser. I always had the belief that moisturiser is a barrier that separates “skincare” and “makeup”. It is essential to protect the skin from chemicals contained in the foundation. Not sure where I got that from, but the reality is, my skin was never any worse ever since I skipped moisturiser. Applying an extra layer of emollient to the face makes the foundation to slide and melt more easily. After Cleansing, I use a more “viscous”/moisturising toner to loosen my face as it can feel quite tight if I leave it bare. I’m currently using the Innisfree Eco Science Skin. It is denser than water and offers more hydration than a usual watery-toner. It feels slightly tacky when applied, but quickly absorbs into the skin, making it soft and loosened. I feel this toner acts like a film on the skin, keeping the moisture locked in. 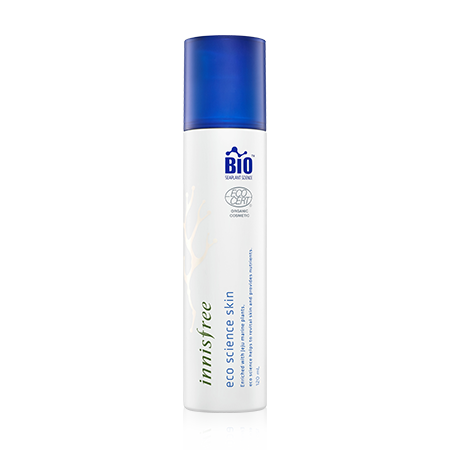 I really like the Eco Science range from Innisfree, it is certified organic, containing Jeju marine plants. My skin feels hydrated and elastic after using the entire range at night time. I used to find primers an extra step in the skincare/makeup routine that doesn’t offer much benefit. However, since I skipped the moisturiser, I have found the value in a good primer. 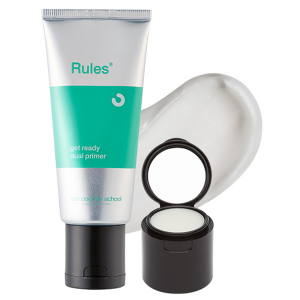 My current favourite is Too Cool For School’s Rules of Pore Get Ready Dual Primer. This primer adds a bit more moisture into my skin. It sinks into my pores making my skin feel smooth and polished, ready for foundation to glide on effortlessly. Most of all, it is the key that makes my foundation lasting all day without touch ups. This is also important. As mentioned in Step 1, the more layers you put on your face, the quicker they melt. Therefore, you should only apply one thin layer of foundation. Use one with coverage that suits your needs. Less is more. You don’t have to constrain yourself to one that is labelled with “long lasting”. I find those foundations are usually overly-drying, thus difficult to apply and would highlight any dry patches you may have. They usually have a matte finish, which I’m not fond of, as it can flatten your features, making your face appear larger. Choose a foundation that is not overly “moisturising”. Always go for water based formulas to oil based ones. I currently use the Sana Keana Pate Shokunin Pore Putty BB Cream, but I believe a lot of foundations would work well. 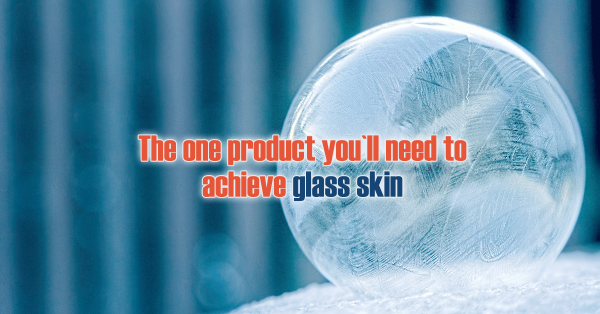 You may ask, what if you have blemishes that wouldn’t get covered in one layer? Use a concealer. However, I wholeheartedly suggest you working on your skincare. Blemishes, especially raised ones will never be completely covered by any makeup. I suffered acne for over 10 years and now only have one or two pimples a month, so it is achievable. I’ll share with you tips for clear skin in another post. 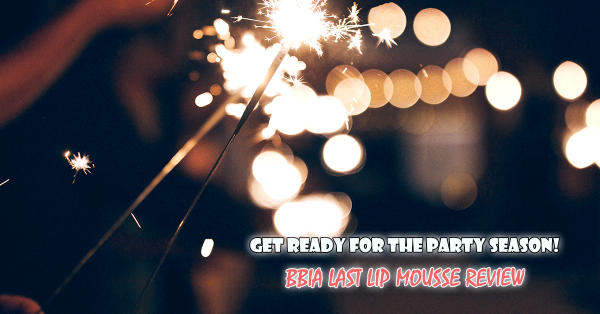 Lightly dust your face with pressed or loose powder to set the foundation. The key of this step is “light”. A light dust of powder makes the foundation lasts a tad better, but applying too much would lead to the opposite. Use a large powder brush to sweep over the face. 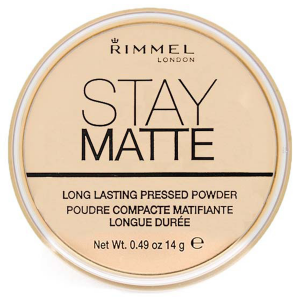 I recommend Rimmel London’s Stay Matte Long Lasting Pressed Powder. Finishing spray has really become a must have in my foundation routine. I love how it takes away the powdery finish of my foundation, making it appear much more natural and last much longer. I have only used one brand of finishing spray that works really well, that is Skindinavia. 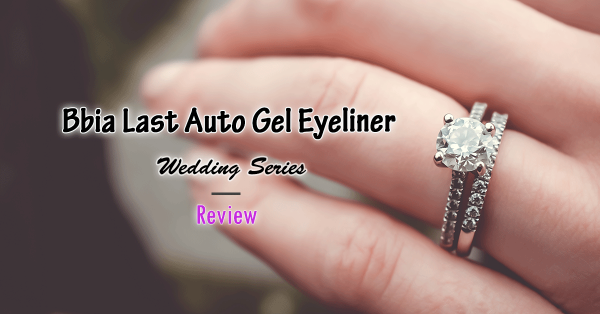 I’ve used variations of it from Urban Decay (All Nighter & De Slick) and Motives, but eventually settled on the Bridal version from Skindinavia. On top of the lasting power, the bridal version adds a gorgeous glow to my cheekbones which I am in love with. One downside with this spray is, it is not cheap. It retails for about $40 AUD, and because all of them are by the same company, there is really no competition in the market. However, as much as I dislike the price tag, I’ve gone through at least half a dozen of it. I’m still on the hunt for a comparable product that is more reasonably priced. I hope these step will make your foundation last longer as they did for me. Remember, always listen to your skin, and adjust these steps as needed. This entry was posted in Makeup and tagged foundation, long lasting, makeup, tips.